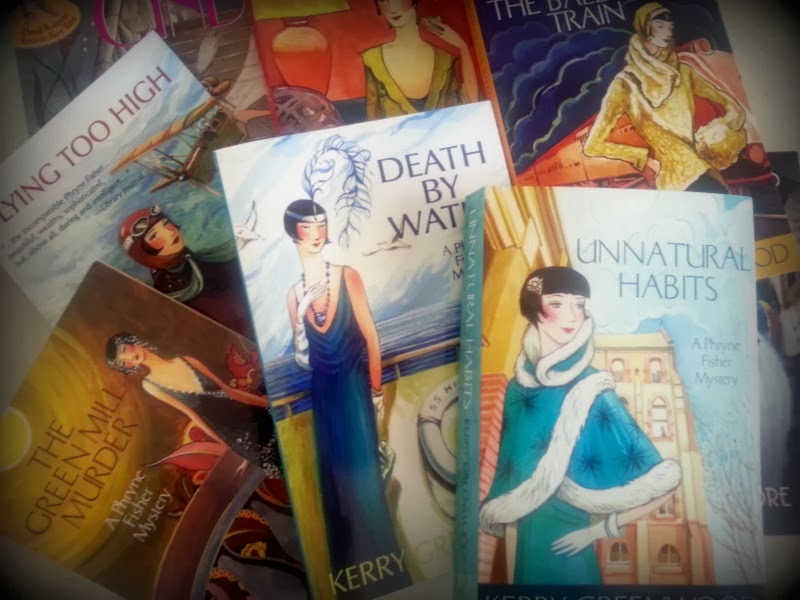 While visiting one of my favourite book shops (which by the way has an art deco facade) I found a treasure! 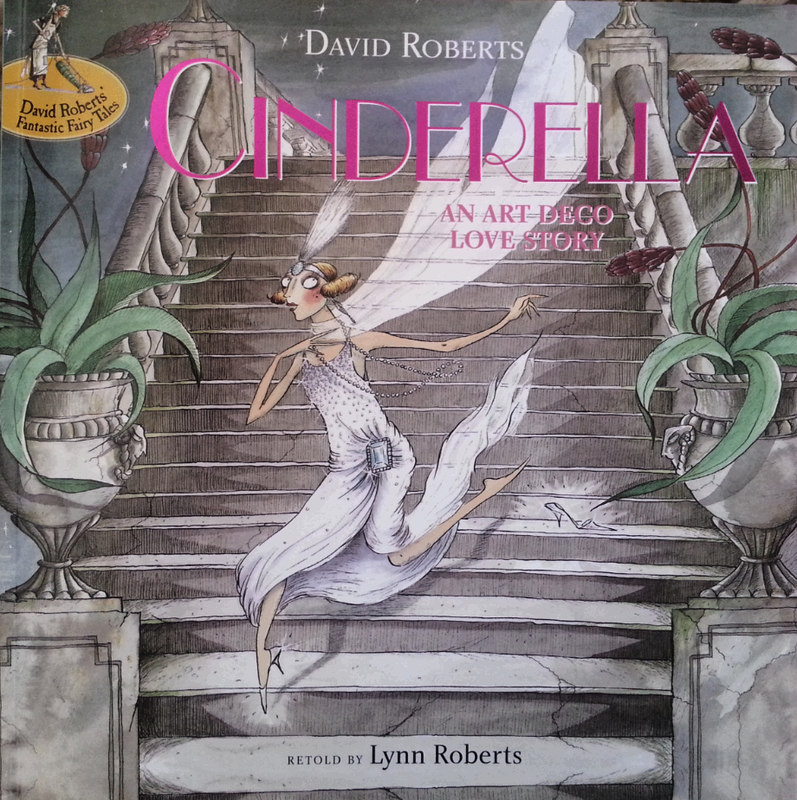 Hidden in the children's section was 'Cinderella An Art Deco Love Story' retold by Lynn Roberts and beautifully illustrated by David Roberts. 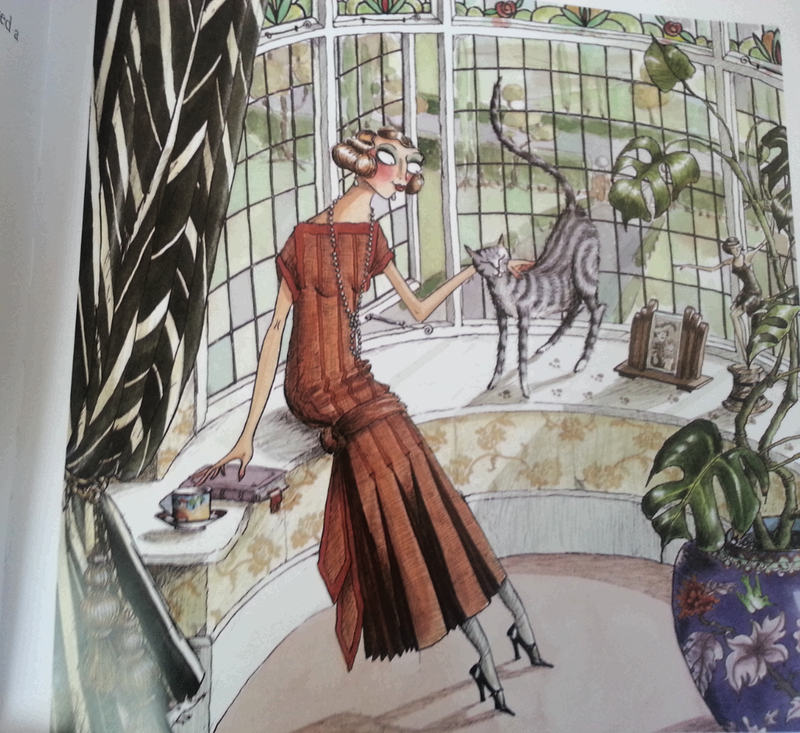 This book followed me home, as have many other items with an art deco feel. 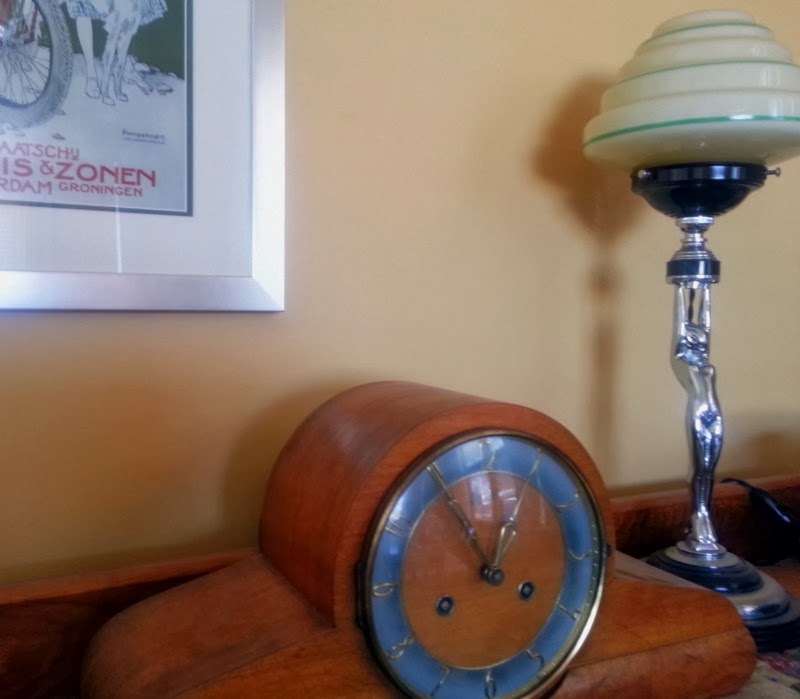 As I look around it appears that I have been having my own love affair with all things art deco. Where did this strange taste come from? 'Baby Ben' under the (gasp) naked lady light!!! 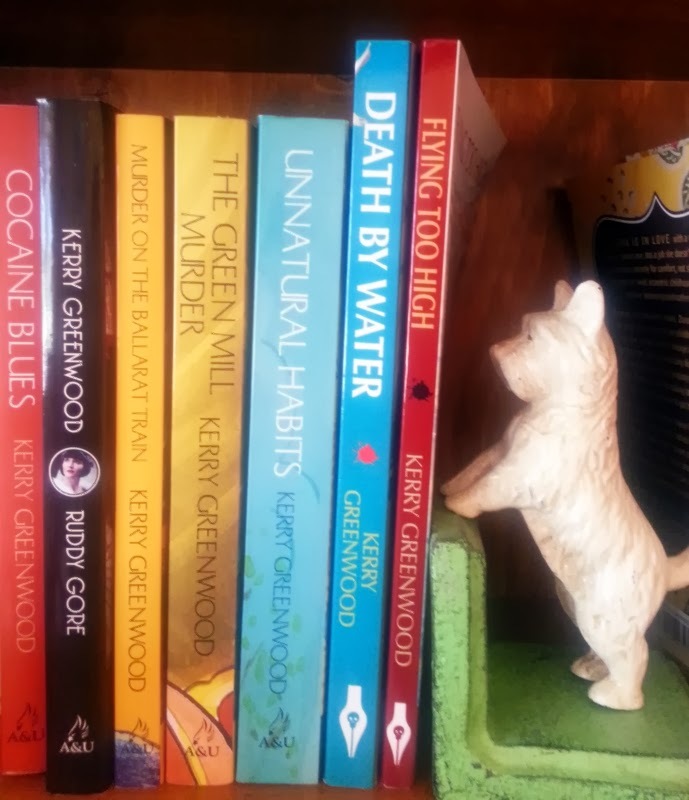 I dream of sipping cocktails in my long beaded ball gown with my friend Phryne Fisher...yes, it is getting out of hand! Is there anything that you inexplicably love? Do you collect accessories for your home? 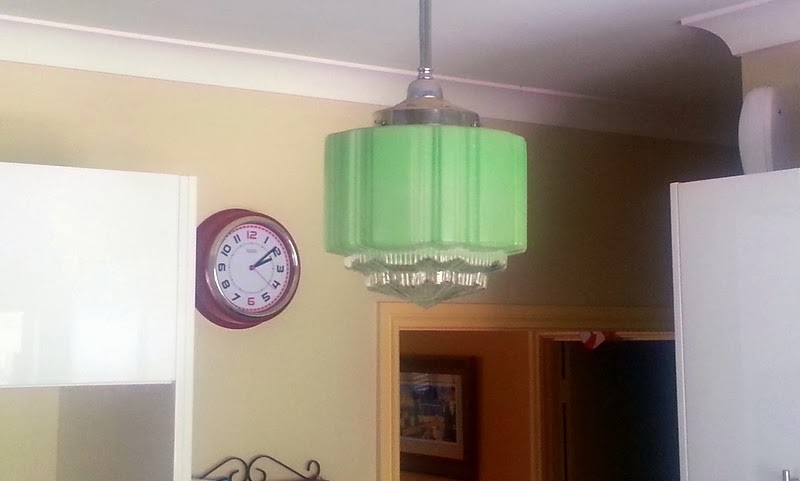 Those are the exact lightshades..the cream and green, that we found in this queenslander when we moved in. 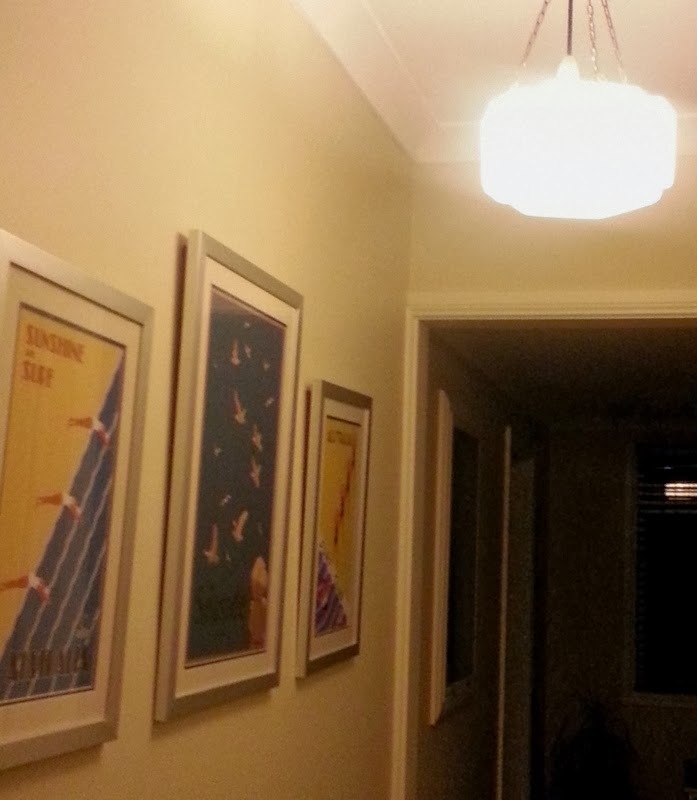 We took them down as they didn't light up the rooms! 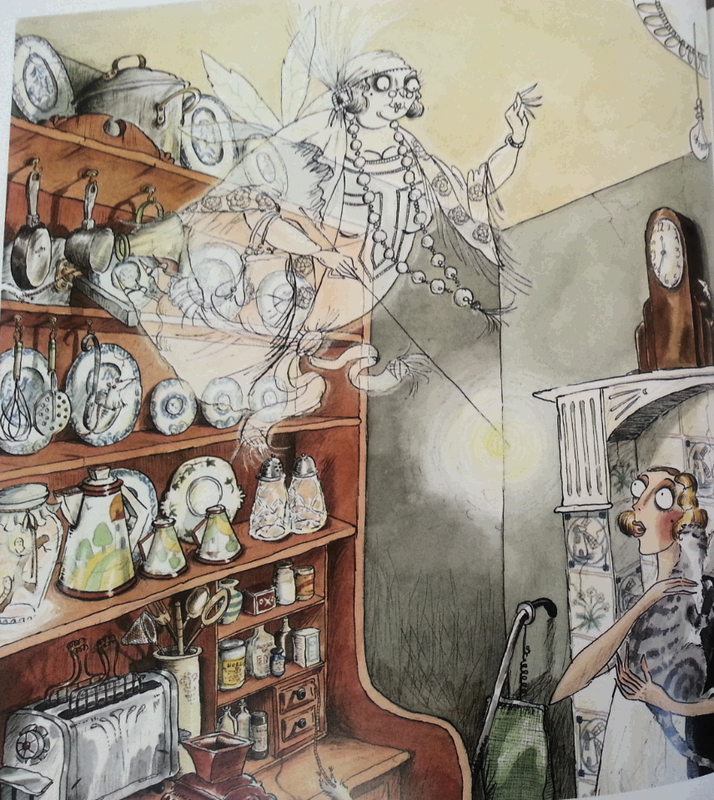 They do look wonderful in your house though. 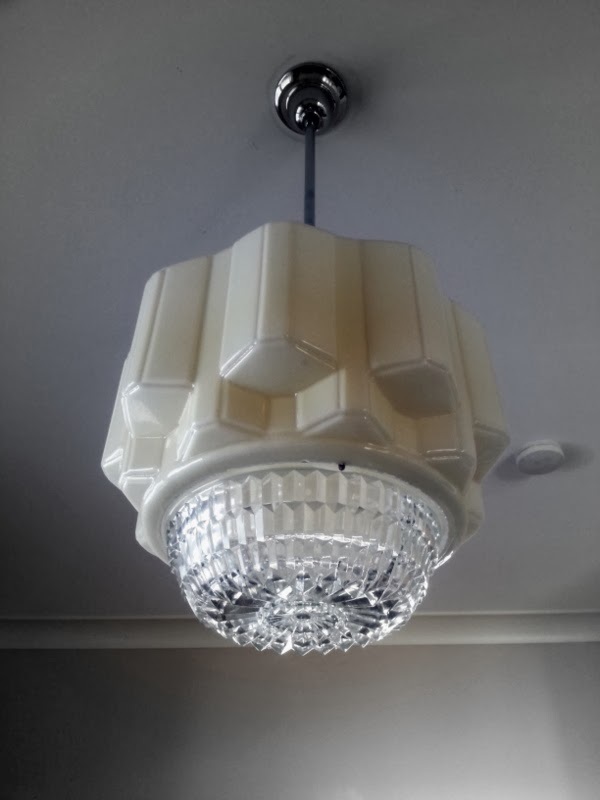 We have Art Deco plasterwork on our ceilings..especially beautiful in the lounge room, I think the house was built in the 1930's. I love your collection Kate, especially those light fittings and the glamorous lady!